Everyone, at some point ponders the riddle, “WHICH CAME FIRST: THE CHICKEN OR THE EGG?” But how much do you really know about one of our favorite foods? Keep exploring this section to learn more about what makes eggs so great and so popular – and what makes Morning Fresh eggs even better! Humans have been consuming eggs for thousands of years. They’re delicious, packed with important nutrients, and are essential to many of our favorite dishes. So how popular are eggs? Well, in 2009 it was estimated that, around the world, over 60 million metric tons of eggs were produced…from almost 6.5 billion hens! That’s a lot of eggs! 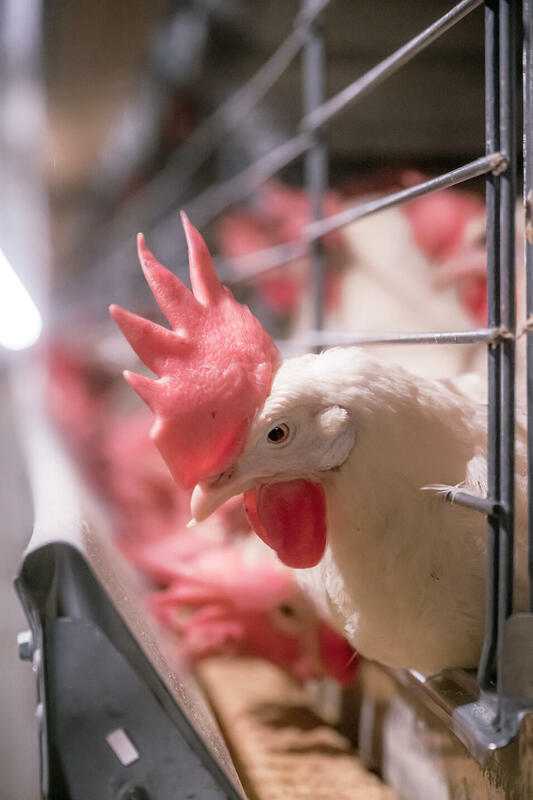 In the United States alone, there are close to 320 million egg-laying hens, each producing 250 to 300 eggs a year. While that might sound like plenty of egg to go around, the average American consumes over 275 eggs per year. We love our eggs. And Morning Fresh Farms loves to provide you with fresh, healthy, great tasting eggs. Here are some more egg trivia tidbits to expand your eggs-pertise. Why not share a fun fact about eggs the next time you’re enjoying your favorite egg dish? Hens are usually productive layers for about two years. Then, their egg production and egg quality tend to decline. There can be as many as 17,000 pores over the surface of an egg. These pores allow oxygen in, while letting moisture and carbon dioxide out. This is often what affects the freshness of the egg. Keeping eggs refrigerated slows down the aging of an egg and keeps it fresh longer. Eggs contain lutein and zeaxanthin, carotenoids that come from plants. Research shows that these organic pigments are good for your eyes – they can help prevent cataracts and macular degeneration. Eggs are good for the eye. The color of an egg’s shell is based on the breed of the hen laying it. White eggs are the most common, coming from white-feathered hens. Medium-to-light brown eggs are the next most common, but some breeds also lay dark brown, cream, and even blue or green eggs. To take this even one step further, if a hen has white earlobes she will produce white shelled eggs. Hens with pigment in their earlobes will produce an egg with colored shells. The inside of a chicken’s egg is approximately 74% water. Eggs take only 24 to 26 hours to form in a hen. Thirty-minutes after laying eggs, the process inside the hen starts all over again. A female chicken is hatched with all the eggs she’ll ever have, and she releases them throughout her life. No rooster required. Look for a sell-by date on egg cartons; eggs will generally last for up to four to five weeks after this date. Continue browsing our site, and you’ll discover a whole world of egg knowledge, egg facts, and egg humor.